About a year ago, I tasted a beautiful steak from Sher Wagyu Beef and started to be fancy on getting some good 8+ grade marble score wagyu beef in Adelaide. Several weeks ago, I walked into the Central Market and found a great looking wagyu steak from SA’s very own Mayura Station. The steak was found at Feast Fine Foods and it looked so fabulous with generous amounts of marbles widespread through the meat. 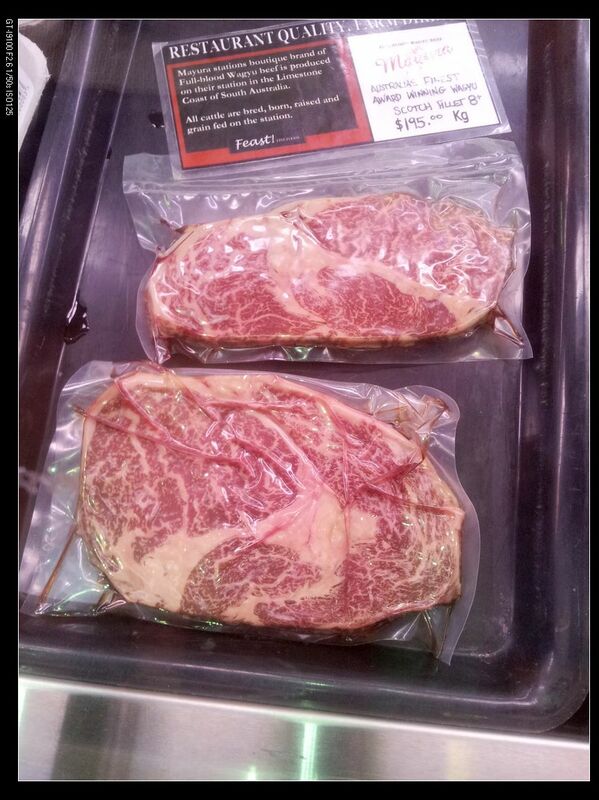 The price was AUD$195 per kg. Mayura Station’s history can be dated back to 1845 and is a 6000-acre property located in the Limestone Coast. 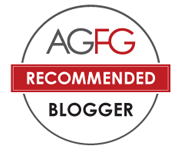 The company started importing full-blood black hair wagyu cattles since 1998 and is n0w one of the most premium brand that supply high quality wagyu beef across Australia. Thanks to the pure blood line, strong regional characteristics and good water supplied to the property, the wagyu beef produced here was of fine quality which gained the brand a number of awards. The above picture showed the steak 1 hr after taking out from the vacuum pack. The marbles are generous and evenly spread throughout the meat except the main vein the the center. The meat itself was tender and smelt with good aromas, indicating its freshness. According to the nature of the steak and to the better taste of the Wagyu, I decided to have it as Japanese Beef Sashimi. The process of cooking was relatively easy. 1. Heat a cooking pan on high heat until slightly smoking. Make sure there was no oil in the pan because the wagyu steak can release good fat itself, otherwise the steak would be very oily. 3. Take the steak out from the pan and place on a plate. Put the lot in freezer immediately until lightly frozen. 4. Cut the steak into thin slices and serve at room temperature. The beef was sooooooooooooo delicious! 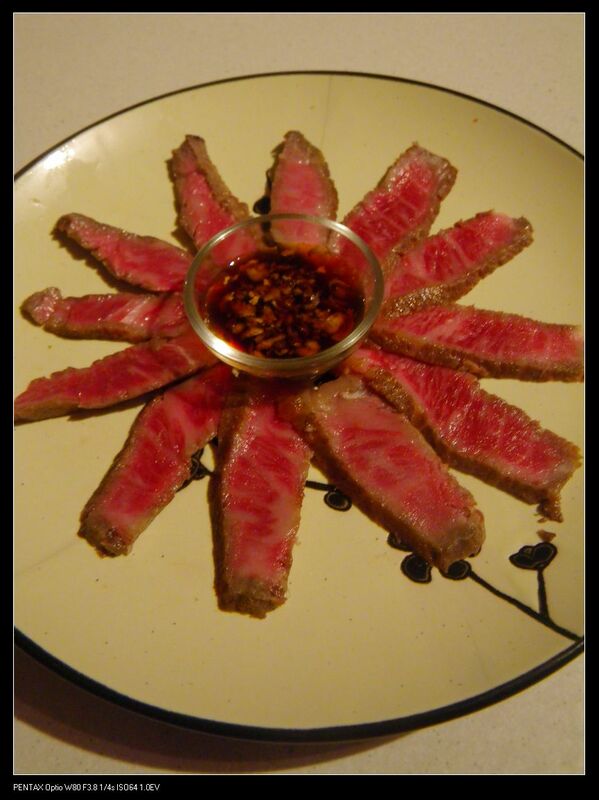 In fact, it was the best beef sashimi I’ve ever had in life. The meat was tender and flavoursome. You can expect some earthy flavour with a combination of light beefy smell and fine texture. Being moist and juicy, the meat melt straight after entering the mouth, leaving a distinct flavour on the palate. It’s like having an explosion in the mouth and all the good fatty acids has gone into liquids and flushed down the throat without noticing. You can add a drizzle of extra virgin olive oil, salt n pepper and some onion to enhance the flavour, but I used a Japanese sauce for dipping because it can add extra saltiness to the beef. 1. Add a tea spoon of soy sauce, a tea spoon of Japanese sake, 5g of dashi powder to a sauce pan and heat to boil. 2. Until all dashi powders dissolved and all flavours were balanced, stop the heating and cool to room temperature. You can chill the sauce in the fridge for a short while depending on personal taste. 3. Add deep fried shallot to the sauce when serving. The beef definitely looks delicious but it is way too expensive. I guess my ordinary beef can do the same thing? I don’t really think so, mate! 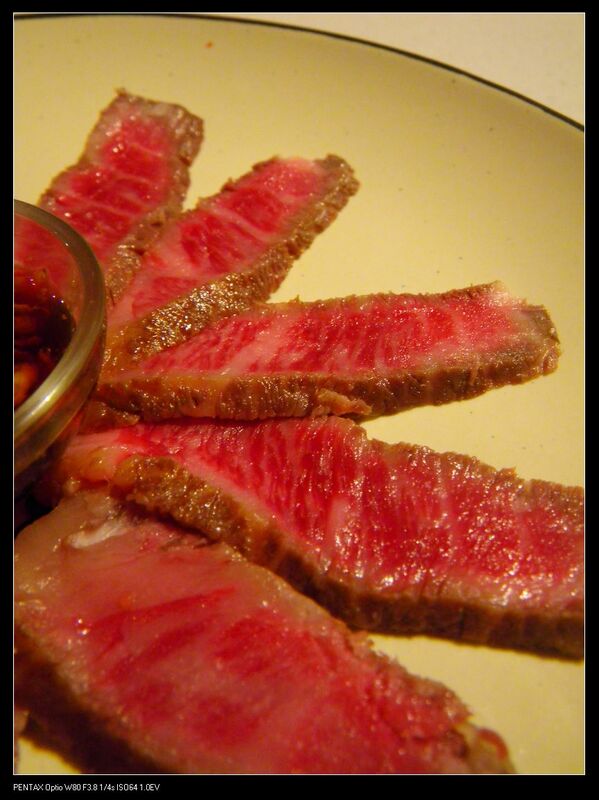 Ordinary beef does not have that much marbling and that’s why it may not be as flavourful as wagyu steak. This post is very beneficial for me cos my wife has been wondering about the beef for a long time. Good review! Thanks for the good word and you should try this beef, it’s amazing! 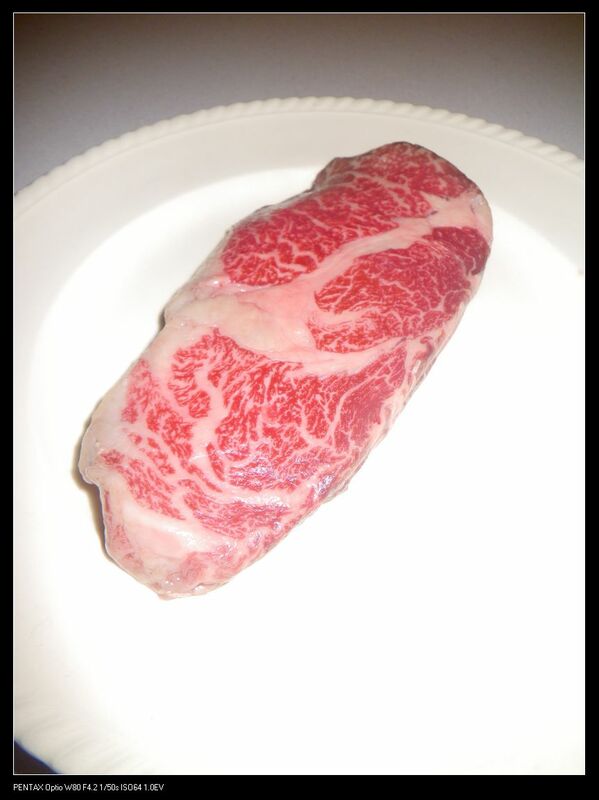 I agree this is the best quality wagyu you can find in Adelaide. The blackmore brand is pretty awesome too. Many years ago, I even wanted to try their stuff by online shopping. Their marbling looks great too. Wow this looks absolutely amazing..beautiful marbling. Oh, great. Thanks for the info and I’ll look into it. Cheers! The Mayura wagyu beef is sensational but have you tried the Mayura wagyu Bresaola. This product has been air dried for 3-4 months and tastes fantastic. It is only available at San Jose Smallgoods- stall 75 Adelaide Central Market. A 100gm sliced pack will cost you $9.00. Oh, thanks for the info! I will head to San Jose to try.